Posted March 20th, 2014 by Ferntree Print Team. With our investment in a new Mimaki vector cutter, we can now cut labels in all shapes and sizes. This means we are not limited by the shape of the stock labels any more, any shape you can think of we can cut for you! 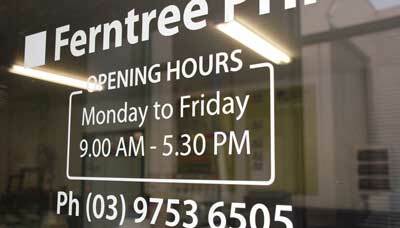 We can also do individual letters, perfect for window stickers (like opening times) or car advertising.